Caroline Goldsmith has worked in publishing for almost eighteen years. Her in-house career has taken her from small, independent publishers to one of the big five. Her official roles have taken her through sales, marketing, publicity and rights and contracts but experience within small organisations also meant that she worked closely with editorial and production, gaining a fully rounded view of the publishing process. However, it was following a lifelong dream in 2012 that lead to the biggest learning curve in her career so far. Having relocated from London to Suffolk, Caroline embarked on a freelance career and, inspired by the radical changes in digital publishing and printing technology, Caroline founded Red Button Publishing with an old publishing colleague. Together they sought out exceptional fiction that had been overlooked by the mainstream and published independently. Red Button Publishing was a labour of love and run entirely by Caroline and her founding partner and as such, Caroline found herself facing of the practical challenges faced by writers who choose the self-publishing route. Teaching herself ePub production, mastering cover design, typesetting and navigating the print-on-demand platforms, all on a shoestring budget, lead to the most fufilling years of Caroline’s career to date. Alas, everyday life and pressures lead to Red Button Publishing reluctantly ceasing to publish in 2016. Caroline and her partner gifted the publishing files to the Red Button authors and so all titles still remain available today to readers. Caroline now focuses on bringing the knowledge she has gained, both during her years within trade publishing and her indie publishing days, to offer services to writers. She has given structural feedback, edited scripts, formatted ebooks, typeset POD paperbacks and helped writers approach agents or decide on which publishing platforms are best for their work. 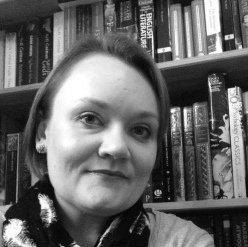 She has designed book covers, book merchandise, logos and bespoke marketing material. She has even written a couple of books for publishers herself, experiencing life on the other side of the editorial process! 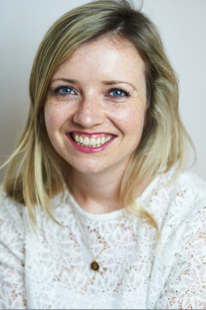 Caroline has a comprehensive knowledge of the practicalities of the publishing industry and a keen interest in the developments of the last few years which have seen writers take a much more central role to the process.